Here is part of an email from FD today. This is what it will cost to have the Neuform 1000 hr. inspection done. It will go straight to FD USA and not Germany anymore. If it is only the inspection and they are not right in the middle of something then they will have it for about 3 days. If you need repairs then depending on the repair it will be a "few" days longer. If you are someone with linear cracks in the prop blade (multiple cracks running lengthwise) they can fix this and yes it needs to be done. This is caused usually from leaving it outside. If you have to leave your plane outside and not stored in a hangar it should absolutely have a prop cover. The prop cover should have some holes cut in the tips so water will drain easily. If it is outside for a couple of days it may not be as big an issue, but better safe than sorry later. If you have any further questions call FD USA. "As for the prop inspection cost, it will be $410.00 for the inspection, plus shipping, plus any repairs that need to be performed. The inspection includes propeller balancing and cleaning. Any work beyond that, including cosmetic repairs, will be extra. In some cases it may be practical to replace a blade." Wait, what? I don't see anything in the Neuform website or manual that says the props should be covered. It's no big deal to get a prop cover, but I don't see a reference where these cracks (which I don't have) are linked to excessive blade sun exposure. Well this was a surprise to everyone. When Neuform came from Europe a few weeks ago and saw a couple of the props that had been left outside and the issues they had, the comment was that we don't do business like that. They don't leave their planes outside in Europe because of the winters and other weather. They are for the most part all hangared. So when they came here to the US they were surprised that anyone else would leave them out. Needless to say FD, nor anyone else new such a thing. So the bottom line is cover your props if the plane lives outside. heaven forbid they should come to Arizona where they may see real sun. The two CT's I have bought have both come with Flight Design prop covers included. When Neuform came from Europe a few weeks ago and saw a couple of the props that had been left outside and the issues they had, the comment was that we don't do business like that. They don't leave their planes outside in Europe because of the winters and other weather. They are for the most part all hangared. So when they came here to the US they were surprised that anyone else would leave them out. Needless to say FD, nor anyone else new such a thing. So the bottom line is cover your props if the plane lives outside. heaven forbid they should come to Arizona where they may see real sun. Where did Neuform visit and who did they talk to? I only lived in Germany for 10 years, but their winters are milder than many of ours. Is there anything except word-of-mouth on covering the props, and where does one buy or how does one design and make a prop cover? What is the problem - sun? UV rays? Moisture? Neuform came over to teach FD USA how to do inspections and repairs. This is just the comment they stated after seeing 1-2 props that had been left outside all the time. Sun is the big issue and if you have a cover allowing it to hold water after a rain. A cover can be made out of almost anything that goes all the way down to the hub then it Velcros over to the other blades so each in turn holds the individual blade cover on. Make sure any cover you have whether home made or the FD supplied one has some holes cut in the tips so water can drain. It was just a comment Neuform made to FD. Who knew. You can now have your Flight Design CTsw, CTLS Neuform propeller inspected and repaired in the US. In June 2011, Neuform trained and certified mechanics and technicians on the procedures for performing the required 1000 hour inspection then making any necessary repair. 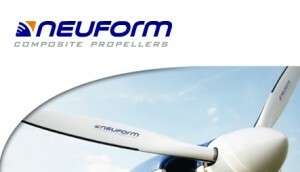 Flight Design USA is now the US service center for all of the Neuform products. Includes dimension checking, leading edge, tip and hub inspection according to Neuform requirements. This service does not include repair of minor scratches or cosmetic damage repair. Small Chips, stone dings, and cosmetic repairs of Prop including prop tip, Gel coat a and replacement/repair of the urethane leading edge. Is there any likelihood at all that a 1000 hour prop will be returned without them deciding that reapir of minor scratches or cosmetic damage repair is necessary? What are they rates - are the flat or by the hour, or something else? Anyone know? I kind of don't like the idea "send it to us and well decide what it needs and charge you what we think it's worth". It's nicer to know up front to the extent possible. After all, at a certain point, it would be cheaper to simply buy a used prop or even a new one. Has anyone out there had the 1000hr inspection/maintenance done?? And if, tell us your story.. Funny you should ask because of some of the newer things about regs coming out. From what I understand an MFG can say when something needs to be inspected, but can't always dictate how and who. This needs to be researched a little more about the prop before a final decision can be made. I'll get back to you or you can call the FAA and ask. About a month ago, I sent my Neuform propeller to Flight Design for the 1000 hr inspection. I received an e-mail back from Dave Armando asking if my plane was always hangered, because the prop was in such good shape. I has one small nick in the trailing edge. He said the would perform an inspection, and repair the small chip. About three weeks later I received my prop back along with a $1,300 dollar bill for the inspection and to resurface all 3 blades. No pre-authorization or anything. Maybe it did need it, but I was quite surprised at this bill for a prop that was in "good condition". I had a nickel leading edge coming ever so slightly loose on my Warp Drive prop. They said they wanted to see it and bond it properly. Long story short, they wanted to see all three blades. They repaired the leading edge, then inspected, balanced and painted all the blades and the total bill was about $250. That prop won't do you any good without approval to install it on the airplane. I understand that they will provide that anymore for thr Warp Drive. I was just contrasting the pricing. The Warp Drive just seems to be a decent prop with more reasonably priced service after the sale. Neuform's charges do seem awfully high by comparison. Could anybody chime in on recent service/prices and turnaround times with Sensenich? Are they competitively priced for reconditioning props, as compared with other makers? It seems as though the Neuform prices for reconditioning are a little on the steep side. Does anybody have a copy of the fleet wide Sensenich LOA from FD? You must have an MRA for each individual aircraft. I believe it is due to the fact the aircraft equipment list will show neuform as a component, and it needs to be changed in their records. FD must maintain equipment records for all aircraft by serial number. I know I asked the question about matco wheels months and months ago about needing an MRA, and Dave said because it's not in the equipment list, and it ships on new aircraft as standard equipment, I don't need an MRA for those. But, since I am now switching our CT props for Sensenich, I asked Dave if there was any official documentation for switching them, and he said every aircraft needs an MRA for a prop change. Finally, everyone should be aware that when you order the prop, be sure to tell Sensenich that you are putting it on an FD aircraft. There is an adapter that you need as part of the kit so it will fit with FD's back plate and spinner. I personally think the Neuform inspection price is way too high. Originally it went to Germany for about $1200 ($1000 for the inspection and $200 for shipping). FD stepped in and said okay we'll do it for around $485 and had Neuform come and teach them. Then FD started to farm out the process to someone else and now prices are back up there. Personally I like the Sensenich better. There is nothing wrong with the Neuform and it works just fine, but it doesn't like to be in the outside elements for extended periods or you get those longitudinal cracks and I prefer the longer (68") Sensenich. The Sensenich technically can't go on the SW because FD has not done the testing and it was never offered as an option. Conversely the SW can use the Warp Drive and the LS can't. Use the Sensenich and not the Warp if you have a choice. But the LS isn't in the same boat. The Sensenich was tested and certified and was offered on the LS. The FAA says that if it was offered on a specific model then an LOA is not needed to use it, but you need to file an MRA form with FD. The Sensenich does not have the 1000 hr. inspection. Personally I would rather have the Sensenich because they are here in the US. So instead of spending $1100-$1500 on an inspection I would cough up the additional money and get the 68" Sensenich for around $2100 with the small adapter plate ($50). That said the SW runs good with the Sensenich too. There is even an installation manual and reference from Sensenich for the FD. The prop can actually be 64" to 68" and Sensenich can do that. Keep the 68". I'm an OEM for Sensenich and have tested 7 of their props of all sizes and blade configurations. Not many in the fleet yet, however the CTLSi are being shipped with Neuform as best I know. The manuals I have seen say 1000 hrs. Page 13. it reads 1,500 hours. My old manual says 1,000. Neat. They need to extend it out to 2000 hours to match the overhaul time for the engine. Does the 1500hr inspection interval apply to props made before the new interval was approved, or only for new props? Technically unless FD comes out with a letter stating it covers all you are bound by the documents you received with your individual plane. You would have no way of knowing if any modification was done to the other longer time prop.